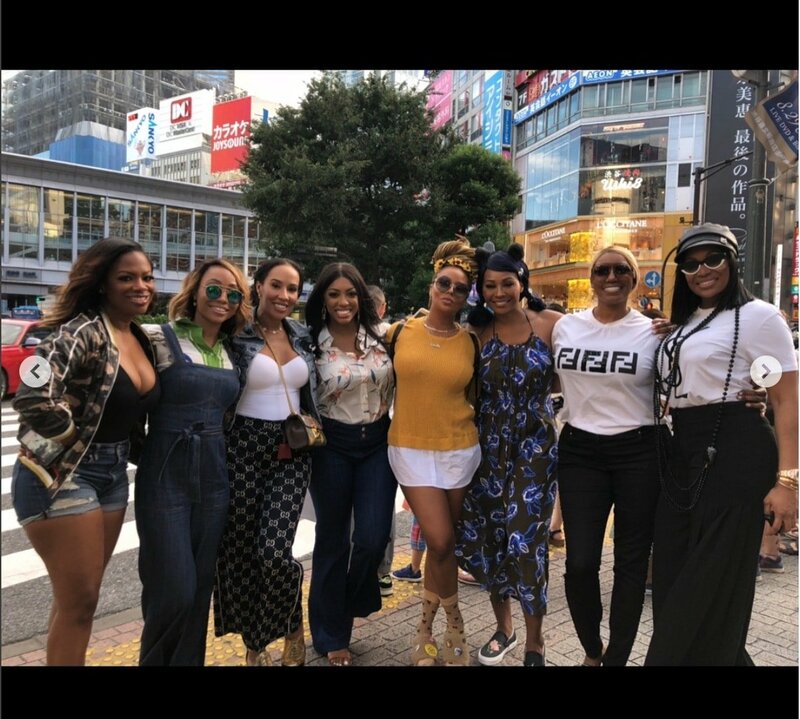 Photos - Real Housewives Of Atlanta In Tokyo, Japan! It’s been a while, but finally it’s time for some Real Housewives Of Atlanta updates. First of all, the ladies are in Tokyo, Japan for their big cast trip. It’s unusual for Bravo to recycle locations – last season some of the Real Housewives Of Beverly Hills traveled to Japan, but maybe because it wasn’t the official trip, Bravo decided double-dipping was OK.
Second of all, by now everyone knows Kenya Moore is not coming back. Probably a good thing considering she’s pregnant and who needs all this stress while also percolating a baby. I don’t doubt that at some point Kenya will reemerge, but for this season she’s on personal leave. In Kenya’s place is Eva Marcille as an official Housewife (she is getting married next week and it will be featured on the show, probably as the season finale party). There are also two newbies: Tanya Sam and Shamari DeVoe. I’m not sure if Tanya is a ‘friend’ or an official Housewife, but Shamari reportedly signed her life away contract. Marlo Hampton is also back, but still as a ‘friend’ – let’s be honest, girl ain’t never gonna get to squeeze THAT kinda peach. According to sources she is SO EXTRA this season that Bravo is having to minimize her camera time. 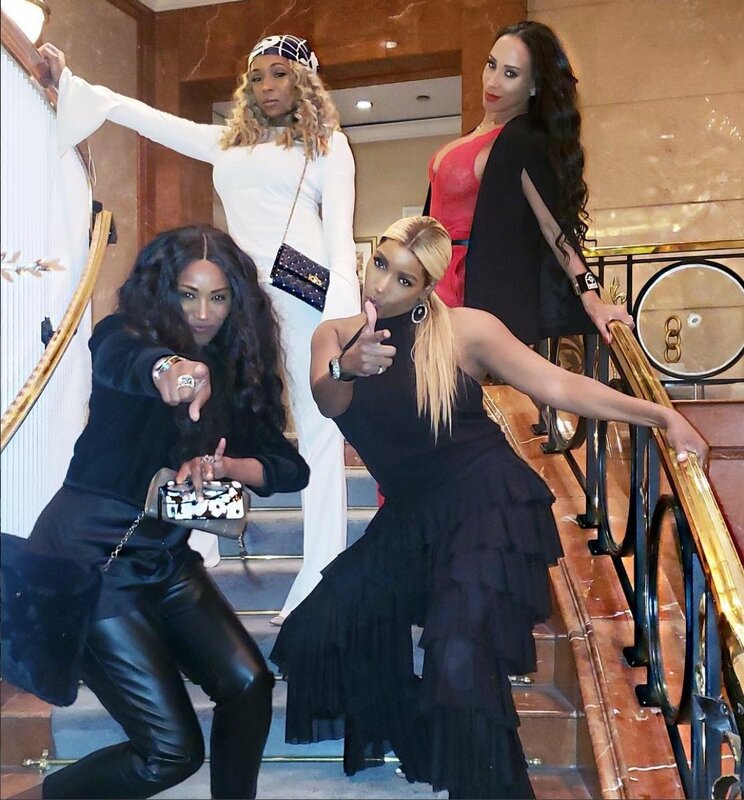 Otherwise the cast remained the same which means that NeNe Leakes, Cynthia Bailey, Kandi Burruss and Porsha Williams were also in Japan. I heard a scoop that Kandi was in some sort of drama on the trip – no word on with whom, but according to her IG she is buddy-buddy with Eva. Who Is Cynthia Bailey’s New Man? Will He Appear On RHOA? Uncharacteristically, the women have been sharing a TON of photos from Japan, and also unusual for RHOA they’ve been approaching this trip with Erika Jayne-level thematic costuming. Everyone seems to be in some sort of anime mode, except for Kandi. I suppose that’s cool, but it’s also a little obnoxious, offensive, and ‘American in Paris’ embarrassing – it just smacks of treating another country like Disney World. In every photo the Japanese in the background are staring at these women like freakshows. The women were in Japan for about 4 days, which I never think is long enough for a trip. Why not do at least a week? You can see photos and a couple videos below. Now, onto the new women. Shamari is married to Ronnie DeVoe (of New Edition) and bills herself as a “marriage ambassador,” which means she’ll be divorced if she returns next season and will try to act like a perfect angel (think Porsha her first season). Shamari is the mother of twin boys and is also a singer (she was formerly in the girl group Blaque). Shamari and Ronnie run Married 4 Life, a marriage and couples coaching company, and it looks like it’s also a matchmaking service. Heaven help us all…. #FIXITJESUS I don’t mind the women who keep the Housewives fighting to a minimum and just try to showcase their real lives, so if Shamari goes that way I’m all for it. Why Is Sheree Whitfield Done With RHOA? Tanya Sam is a career woman. She’s a former nurse who started some sort of tech company called Tech Square Labs. It looks like they help startups develop to find backers? Not sure. She’s also married to “serial entrepreneur” Dr. Paul Judge. His website states that he is a “noted scholar” and builder of dreams (and companies!). Tanya actually appears classy and educated, which is a wonderful improvement for this cast, so hopefully she won’t be another Phaedra Parks-type. Tanya and Dr. Paul seem to live a very shi-shi-socialite lifestyle, according to Instagram, and I have no idea who they’re going to play-off as the ‘friend’ bringing Tanya into this group. I assume Shamari is a ‘friend’ of Kandi’s? Also people asking about Shamea Morton – she’s filmed with the ladies throughout the season, but is heavily pregnant and obviously can’t be doing any international travel. TELL US – ARE YOU EXCITED ABOUT THIS SEASON OF RHOA? WHO HAD YOUR FAVORITE JAPAN LOOK?